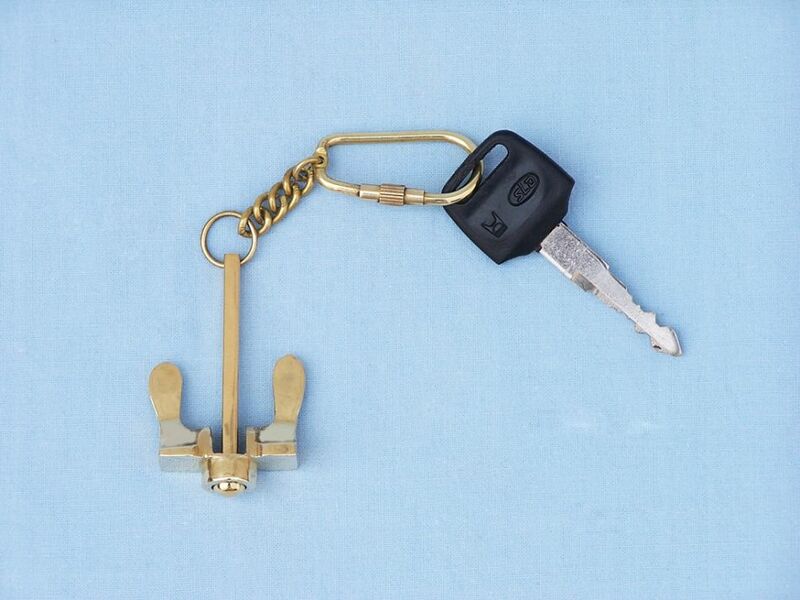 This nautical-themed key chain, featuring an anchor key fob, is both adorable and functioning. Crafted from solid brass, this key chain is as beautiful as it is durable and a knurled knob allows you to easily and securely add or remove keys from the ring. These wonderful key chains make ideal gifts for all. 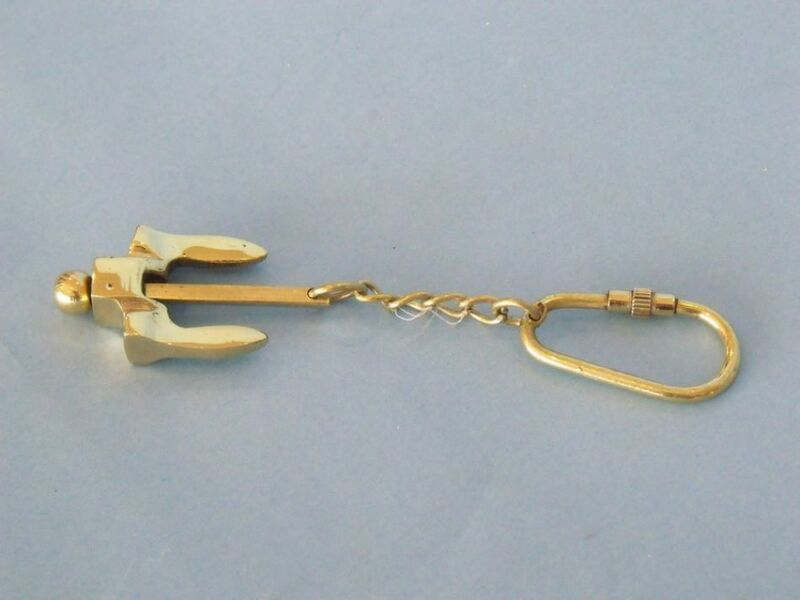 Though there are many different anchor designs, the Anchor Cross on these gleaming brass key chains is the one that has become synonymous with hope and reliability, stability and home, and the promise of safe haven. As the insignia to our very own Marine Corps., and one of the earliest symbols of the United States, the design on this nautical keychain is truly historic. In 1776, the year of the Declaration of Independence and the year America became free, the anchor portrayed on these brass key chains became a testament to our founding fathers’ dreams for this country; displaying their hope, their resolve, and the strength to hold their ground. With an acknowledgement to the Naval history of the Marines, and now paired with the Eagle and the Globe, the anchor continues to shine as a symbol of strength, hope, and reliability. 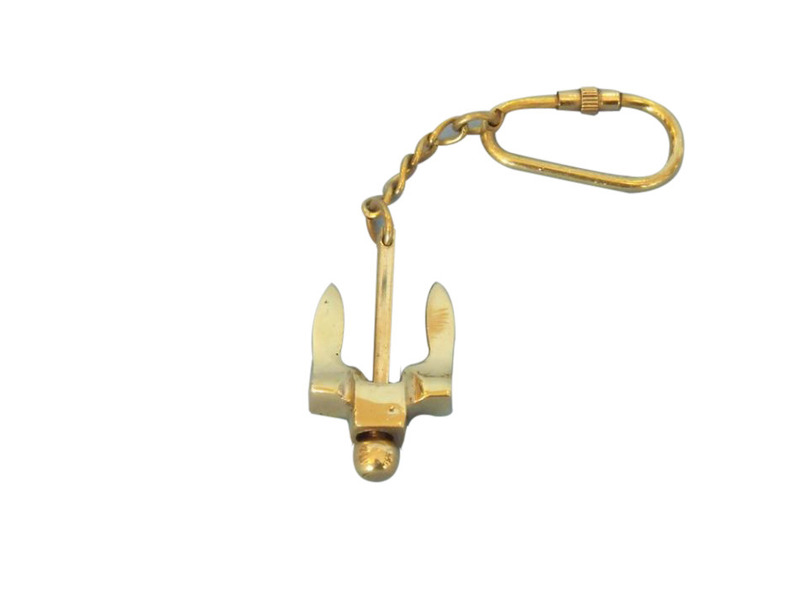 As with the anchor’s enduring symbolism, these brass key chains will stand the test of time, and as the anchor continues to faithfully keep our ships, large and small, right where we left them these brass rings will ensure your keys the same hope.